Questions to Ask Your West Palm Beach Accident Attorney - Law Offices of David M. Benenfeld P.A. The insurance company has the financial resources to hire a team of attorneys that know how to defend them against injury claims. 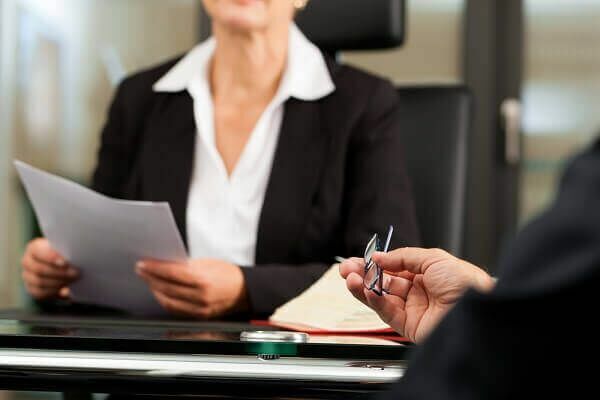 Therefore, the skills and experience of the attorney you hire for your case will play a critical role in the amount of compensation you receive – if any. As an accident victim, you do not know how to question an attorney, because this is your first time hiring one. More so, you might assume that a cheaper attorney puts more money in your pocket without realizing that even experienced attorneys charge similar rates to inexperienced ones – but also increase the amount of compensation you could receive. Can You Hire an Attorney from West Palm Beach Advertisements? You might have seen a few injury attorneys online, on the television or even billboards. While some of these attorneys are excellent choices, you should never hire an attorney simply because they are recognized from good advertisements. Instead, you need to sit down with that attorney, ask the right questions, and make sure they can get the compensation you need. Like any life-changing decision, you need to perform your due diligence and find an attorney in your community ready to advocate for you. When you meet with attorneys using a free consultation, you can have a list of questions prepared to ask them. Their answers will help you narrow down the choices until you have landed on a single name. Some of these questions you will ask the attorney directly, while others you can answer yourself through research. What Do the Attorney’s Peers Say about them? When an attorney’s colleagues think highly of them, that is a good sign. Naturally, you cannot ask a competing attorney their opinion and expect them to push you toward the direction of their competitor. Instead, you need to research lawyer or peer review websites. What Percentage of Your Cases Come from Past Client Referrals? This is an important question and one that many victims wouldn’t think to ask. When an attorney is good enough to receive referrals from past clients, that is a good sign. While not every victim will know a friend who needs an attorney later, knowing that they had a good enough experience to refer a friend or family member to that attorney means that they received an outcome they were satisfied with. Did the Attorney Send a Solicitation Notice to You in the Mail? Several injury firms have started to hire runners. These runners find accident reports in the area and then the law firm will send out solicitation notifications in the mail or even over the phone from the data collected. These solicitations will let the victim know they are ready to represent them, their experience, and some go as far as to list potential settlement amounts. Sometimes these law firms will send the letter and call to follow up. While they might seem helpful, you will also find that they are pushy, and some are outright aggressive. These law firms typically deal in high volume and fast turnover. You might receive a settlement quickly but rarely is it for the amount you deserve. These companies work quickly to settle so that they can push through their massive caseload, and most victims are nothing more than a number. Most injury firms work on the same principle of “no fee if no recovery.” That means you do not pay the attorney unless they win a settlement. Also, most attorneys will offer a free consultation. During the meeting, ask for a copy of the contingency agreement so that you have time to review it. See what their percentage is and if there are fees not covered by that contingency fee, and also if there are special fees that you must pay upfront. In Florida, the contract must explicitly list the percentage of recovery the attorney is entitled to keep, and other expenses deducted and how they are deducted. The state imposes maximums that range from 20 percent to 40 percent depending on the situation. For example, if the case is settled for higher than the $2 million threshold, any amount over $2 million would be charged at 20 percent while the amounts between $1 million and $2 million are charged at 30 percent. Regardless, you should never see a total contingency fee of more than 40 percent for any type of injury case. Do You Have the Resources to Handle My Case? This is a critical question to ask because you want a law firm that has the time, staff, and resources available to handle your case efficiently. That means having support staff, access to witnesses and experts, and the financial capacity to front the costs of the case – including the potential of going to trial. You want an attorney that is not financially capped and forced to settle a lawsuit that should go to trial. What is Your Primary Experience? Some attorneys only work in personal injury law, while others do a full-service approach. Ask your attorney what areas of the law they practice and how much of their expertise is in personal injury accident cases. Have You Been to Trial? Personal injury cases typically settle out of court, but you still want an attorney that has experience taking cases to court and winning. The procedures for the court are complex, and an inexperienced trial attorney may find themselves in over their head if your case does not settle. If you have suffered severe injuries in an automobile accident, contact the Law Offices of David M. Benenfeld P.A P.A today. We offer free, no-obligation consultations and we are here to help you with your case. Schedule an appointment by calling us at 954-677-0155 or request more information online. Selfies and Status Updates Could Be the Downfall of Your Case How Much is Your Sunrise Car Accident Case Worth?